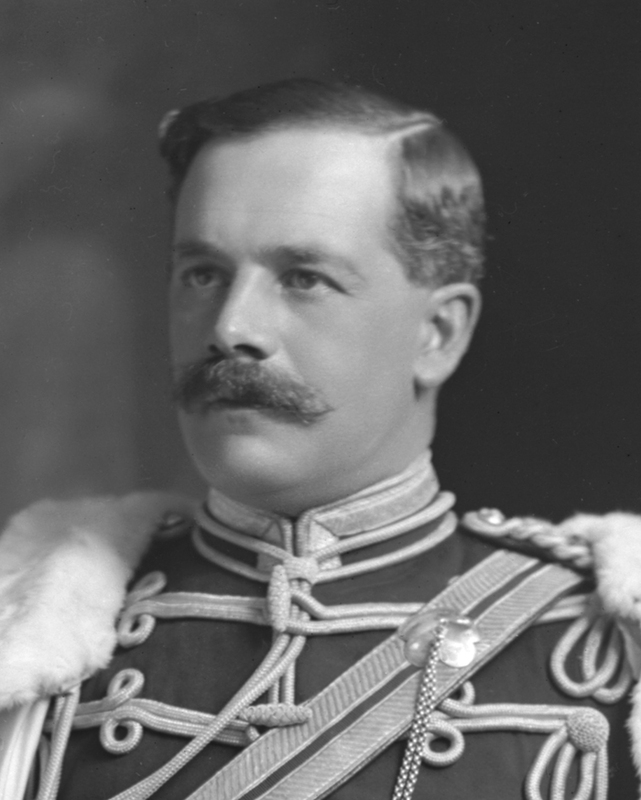 Henry Ludlow Lopes, 2nd Baron Ludlow (1865-1922). Sitter: Henry Ludlow Lopes, 2nd Baron Ludlow (1865-1922). Biog: Barrister-at-Law; Captain in the Royal Wiltshire Imperial Yeomanry; Member of the London County Council for East Marylebone; Chairman & President of the Cancer Hospital & Treasurer of St Bartholomew's Hospital. 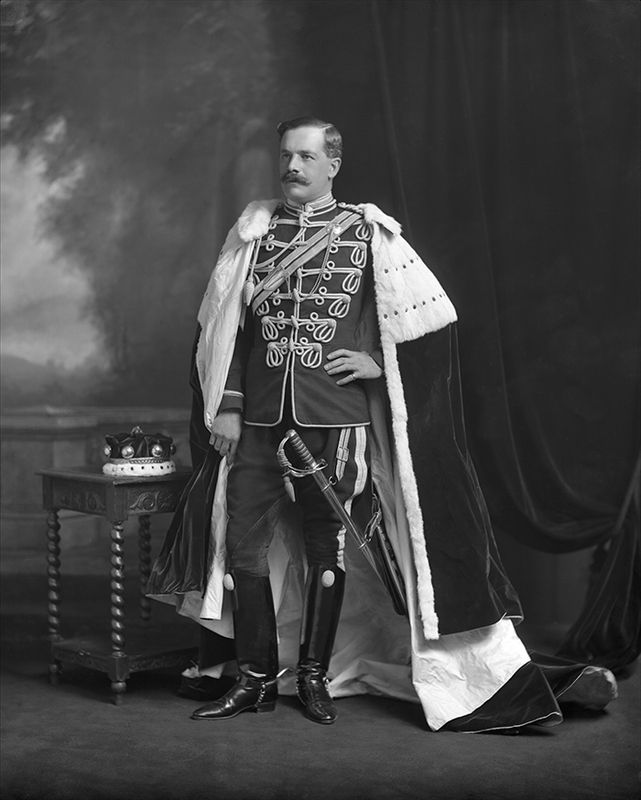 Costume: Peer's robes over Full Dress uniform, Officer, The Royal Wiltshire Yeomanry. 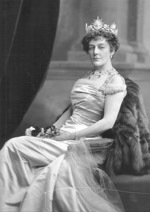 Biog: Burke's Peerage; The Complete Peerage; Who's Who; The Army List, 1902; The Times, 9 September 1922, p 14c; Raleigh Trevelyan, Grand Dukes and Diamonds: The Wernhers of Luton Hoo, London, 1991.